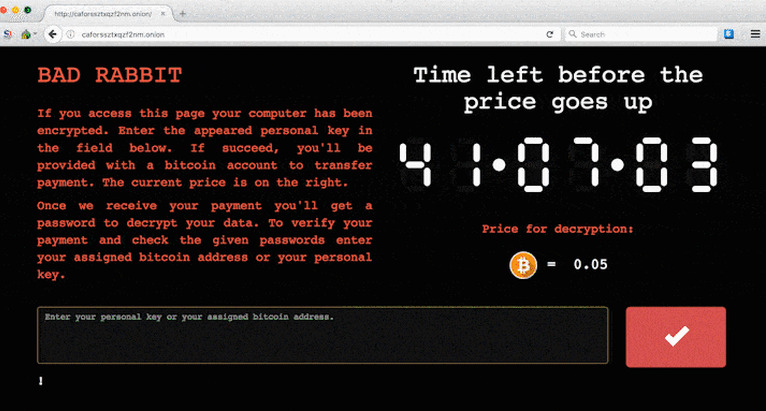 Encrypt user files and demand ransom to decrypt the files for 0.05 worth of Bitcoin. 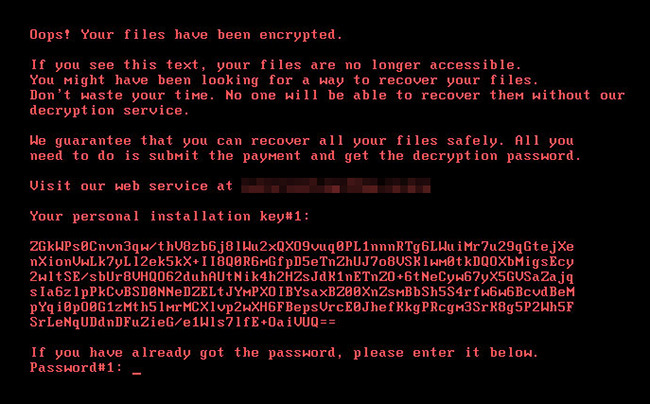 A new strain of ransomware nicknamed "Bad Rabbit" has been found spreading since yesterday. To-date, the malware has affected systems at three Russian websites, an airport in Ukraine and an underground railway in the capital city, Kiev. According to Kaspersky Lab, most of the victims targeted by these attacks are located in Russia but there are also attacks reported in Ukraine, Turkey and Germany. Based on initial analysis, Bad Rabbit has the same characteristic of WannaCry and NotPetya that is exploiting the SMB vulnerability for propagation once a computer is infected. Once "Install" button is clicked, a download of an executable file from 1dnscontrol[. ]com is initiated. This executable file, install_flash_player.exe is the dropper for Win32/Filecoder.D and once installed the computer will be encrypted and a ransom note asking for 0.05 bitcoin will appear. Report any incidents related to this attack to NC4.